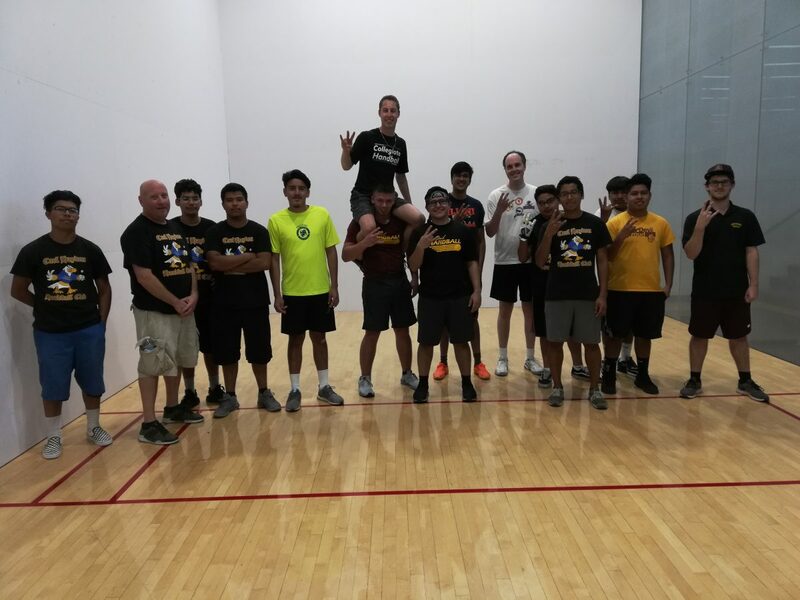 The Sun Devil Handball Team held a “Homework & Handball” community service event on the campus of Arizona State University on March 30th. The program featured a morning of rigorous academics followed by lunch and then an afternoon of handball instruction and competition. “We had a good turnout and everybody enjoyed themselves. 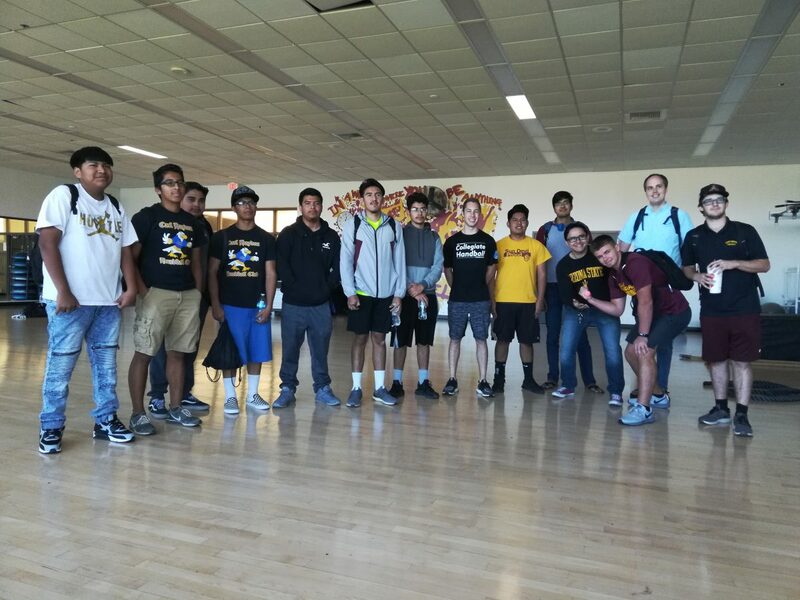 The Sun Devils are pleased to give back to the community and share our knowledge and the great facilities here in Tempe with future Sun Devils,” said club president and senior Derek Doyle. Doyle had reserved a classroom and six courts for the event. Students from Phoenix Union’s Carl Hayden High School awoke early that Saturday and made the trek to the ASU campus. Due to a minor oversight, no chairs or tables had been set up. When they were quickly delivered, the combined teams pitched in together and made short work of setting up the furniture. Then it was time for diligent mental effort on everybody’s part as the Sun Devils tutored the high schoolers in subjects including History of the Cold War and Korean Conflict, Algebra, Geometry and Reading Comprehension. Studying done and fueled up after lunch. Ready to hit the courts for some fun! After seven hours of studying and playing handball! Special thanks to Falcons head coach Chris Hogan for bringing the Carl Hayden students. Enormous thanks to ASU postdoctoral scholar Sean Bryan for generously sharing his time and knowledge to mentor students. Sean helped teach mathematics to the students and instructed them on a serve-and-return drill. The Homework & Handball program is supported by ASU Sport Clubs, the US Handball Association and Success4Kids.org.